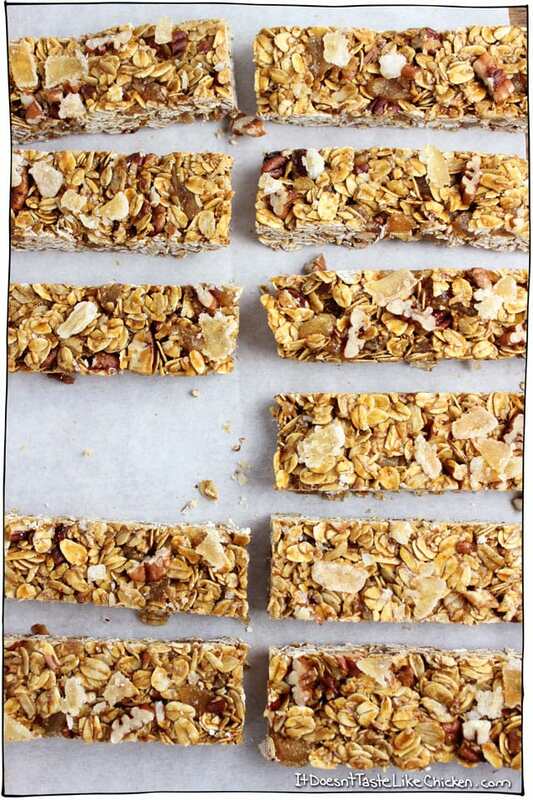 There are regular ‘ol store bought granola bars, and then there are Molasses & Ginger Chew Granola Bars. Reaction to regular ‘ol store bought granola bars: Bite, mindless chewing and swallowing while perusing Facebook… er… work… I mean work of course, and polish off the granola bar without even really noticing you ate it. Reaction to Molasses & Ginger Chew Granola Bars: Bite, a couple of chews, eyes widen, groan with delight, frantically look around the room to tell the first person you see how ridiculously tasty these are, mumble something along the lines of “mmmrrtheese mmare soo gmoooodddd”, try not to eat the entire batch in one go. Now THAT is the reaction I want in a granola bar. The spicy and sweet candied ginger, the full and seasonal flavour of molasses, the soft pecans, and the chewy caramel coated oats make one mighty fine bar. This is what happened when I decided to test them out during a dinner party. They became an accidental appetizer, not really appetizer like material here, but no one could resist! Once one guest had a taste, the whole party had to give them a go and I witnessed the same reaction over and over again. Now I don’t suggest serving these as appetizers, but that just gives you a clue as to how divine these are! To make the bars, there are a few steps, but they are all super easy. If not already chopped, chop up the candied ginger and pecans. Set the ginger aside for now. 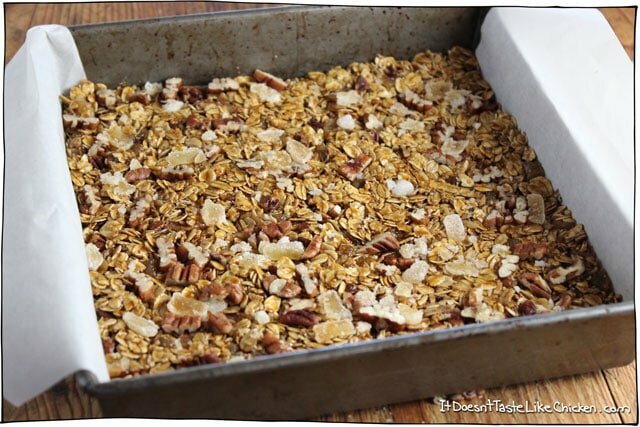 Spread the oats and pecans on a baking dish and toast them in the oven. Now, let’s be honest, you don’t HAVE to toast the oats and pecans, but if you do take the time to do this, it helps enhance the flavours and make them just that much more amazing. 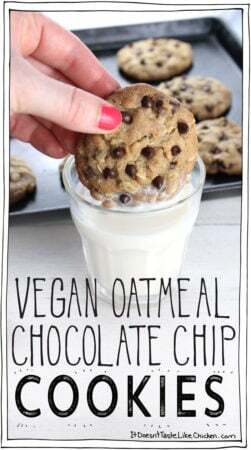 While the oats are toasting, mix together the molasses, brown sugar, coconut oil, vanilla extract, powdered ginger, and salt in a small saucepan, and put over medium heat. Stir to combine. Heat until the sugar is dissolved, about 5 mins. Add the toasted oats and pecans, the molasses mixture, and the chopped candied ginger to a large bowl, and mix well until everything is evenly coated. 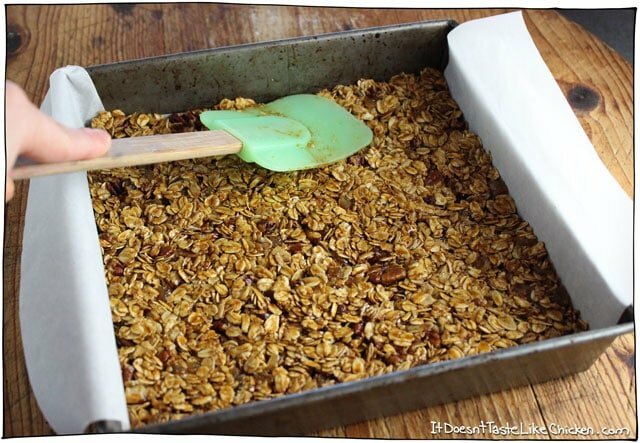 Scoop the granloa mixture into a 9″ x 9″ baking pan lined with parchment paper, and use a spatula to spread the mixture out, and pack it down firmly, so the bars are compact and won’t fall apart. For a final touch, you can choose to sprinkle a little more chopped ginger and pecans across the top, then use the spatula to press them in as well. This step is optional, but it just makes the bars a little more decorative, so I like to do it. Put the pan in the fridge to set for about 1.5 hours, or until completely chilled and firmed up. Run a knife around the sides of the pan if the bars are sticking, then use the excess parchment paper to pull the whole thing out. Now use a large knife to cut 14 bars. Store in an airtight container. 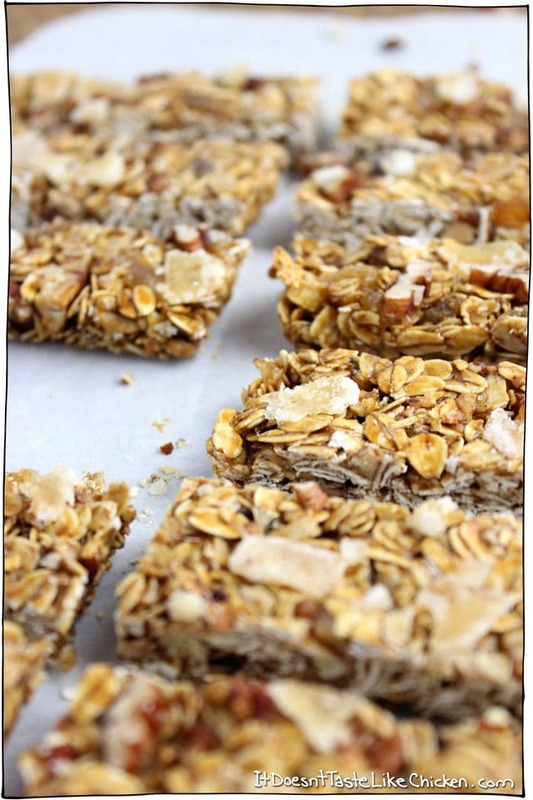 For softer bars, store at room temperature, for firmer bars, store in the fridge. rs! 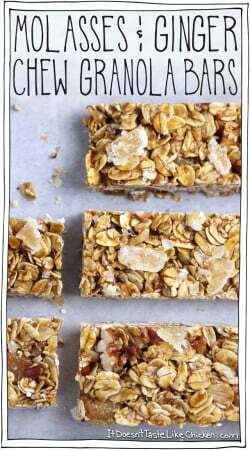 The spicy and sweet candied ginger, the full and seasonal flavour of molasses, the soft pecans, and the chewy caramel coated oats make one might fine bar. Preheat oven to 350F (180C). 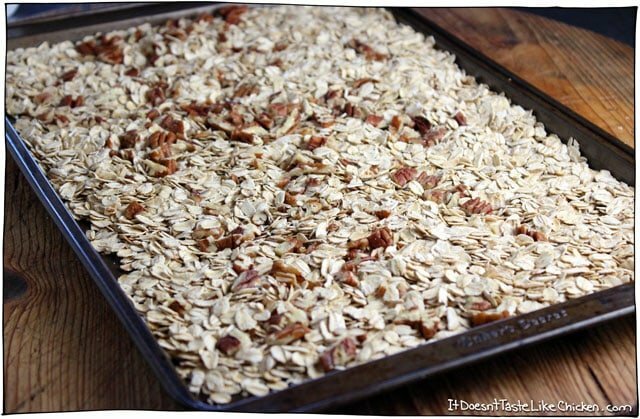 Spread the oats and pecans out on a large baking sheet and bake in the oven for 10 mins. 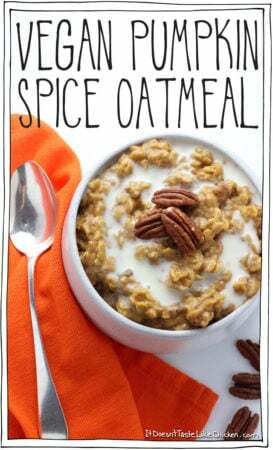 This step is optional but helps to bring out the flavours of the oats and pecans. Line a 9" x 9" baking sheet with parchment paper leaving extra parchment paper on the sides to create handles, and set aside. 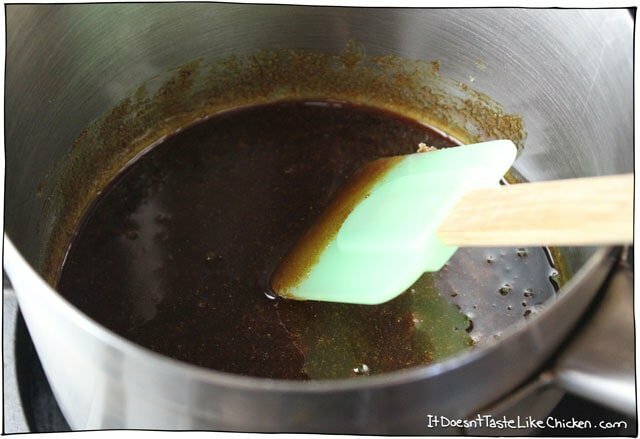 In a small saucepan, add the molasses, brown sugar, coconut oil, vanilla extract, powdered ginger, and salt and put over medium heat. Stir while heating until the sugar is dissolved, about 5 mins. 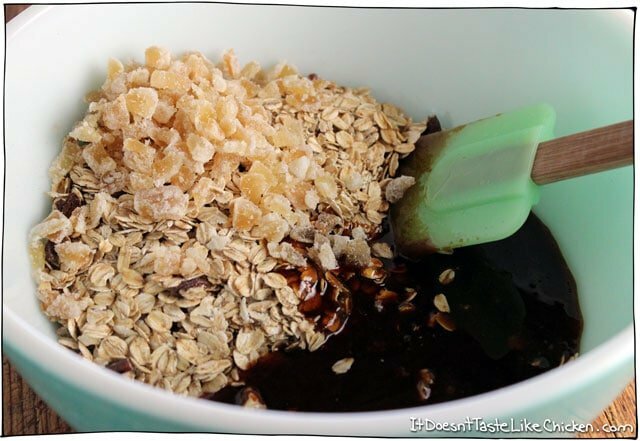 In a large bowl, mix together the oats, pecans, candied ginger. Pour in the molasses mixture and combine well. Scoop the mixture into the pan lined with parchment and use a spatula to press the mixture firmly down until everything is smooth and firmly packed. 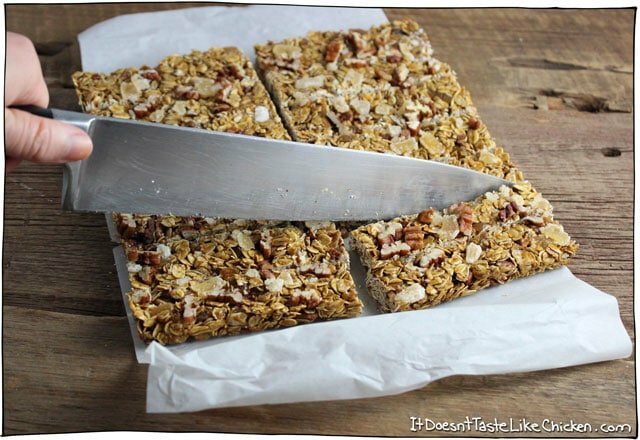 For the toppings, sprinkle the pecans and ginger over the top of the bars, and use a spatula to press the toppings into the granola bars. Put the pan in the fridge for 1.5 hours or until completely chilled and firm. Us a large knife to cut into 14 bars. Store in an airtight container. 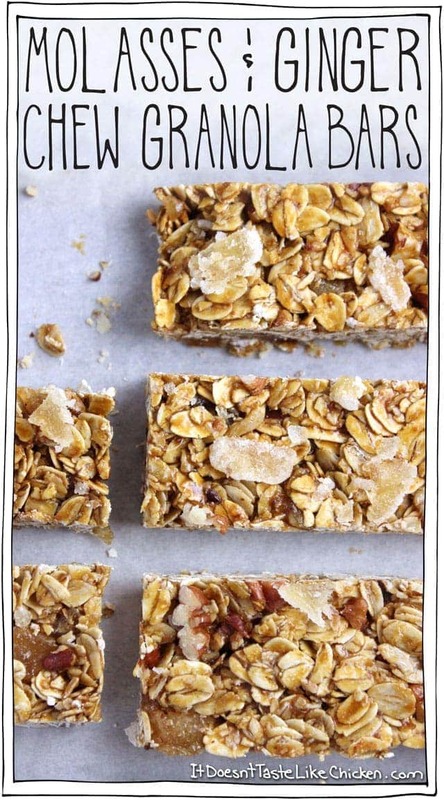 For softer bars, store at room temperature, for firmer bars, store in the fridge. 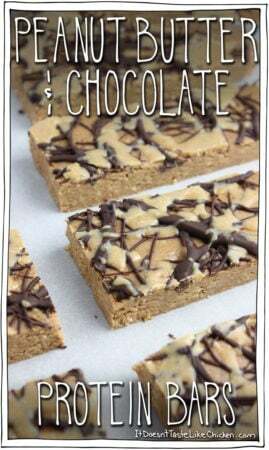 * This recipe is my entry for Crosby's Raising the Bar recipe contest. Does the ginger have to be candied? Looking for a healtheir snack bar. I’m a snacker trying to stay back from to much unnatural sugars. Thanks! 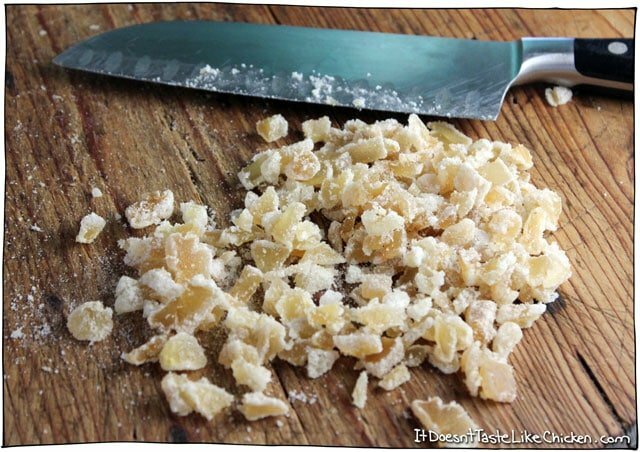 If you found dried not candied ginger that would work, but fresh ginger would be too wet and too intense if flavour. Hope that helps! I just discovered your blog and am excited to try out your recipes! 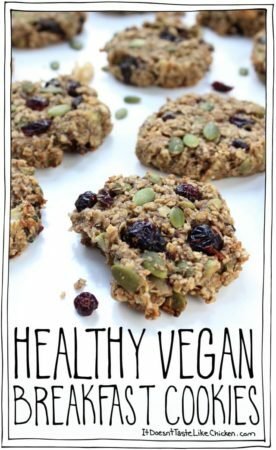 Just wondering about making these nut-free so my kids can take them to school. Would they work without the pecans or if not, what would suggest as a nut-free substitution? Thanks! Finally went grocery shopping and purchased the required pecans. Made these beauties this morning. I used organic black strap molasses because refined molasses is often not plant based. I cut the molasses with raw organic agave, but the result is still a little darker than yours. Still looks good though. 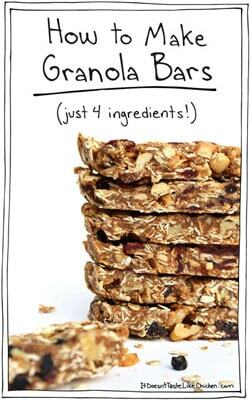 Biting into a chewy, homemade granola bar sounds awesome to me! 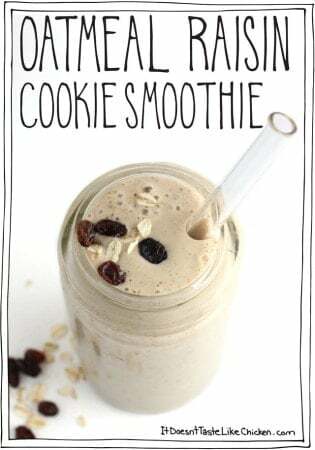 I’m always excited to make something like this because homemade has such better flavor and is more enjoyable to eat and make. These look very tasty. I am planning to try them today, but am wondering about the instruction to preheat the oven. 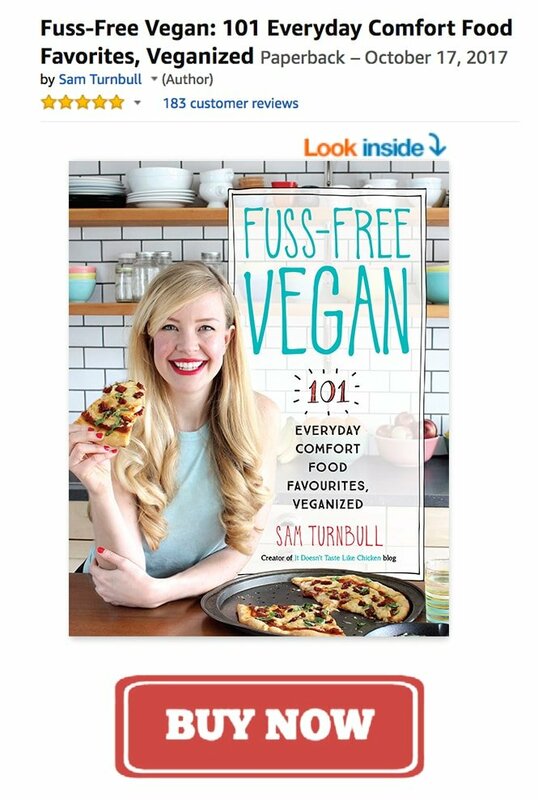 …..to bake or not to bake?